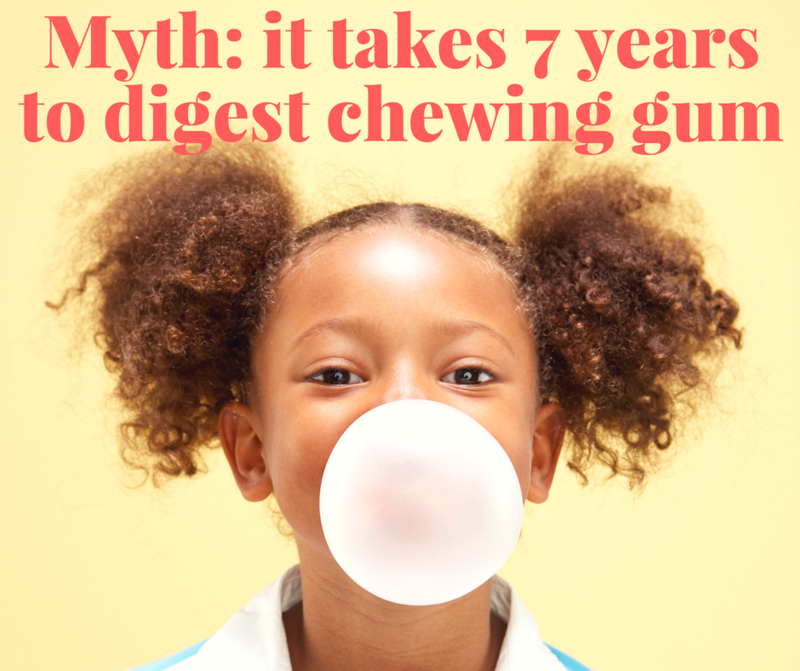 Does bubblegum really take seven years to digest? Whether it was your best friend, that smelly kid at school or your parents, we all have peculiar food myths we were told when we were a kid, which we believed for far too long (...and maybe still do). For the majority of the time, these little lies were gifted and passed down to us to try and con us into eating things we didn't want to. Veggies. 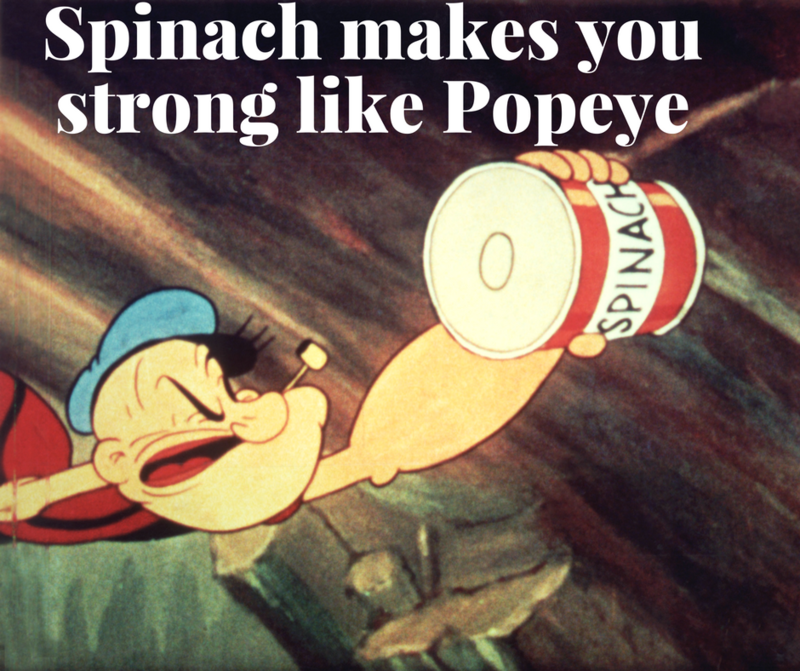 If you eat spinach you'll be strong like Popeye, they said. 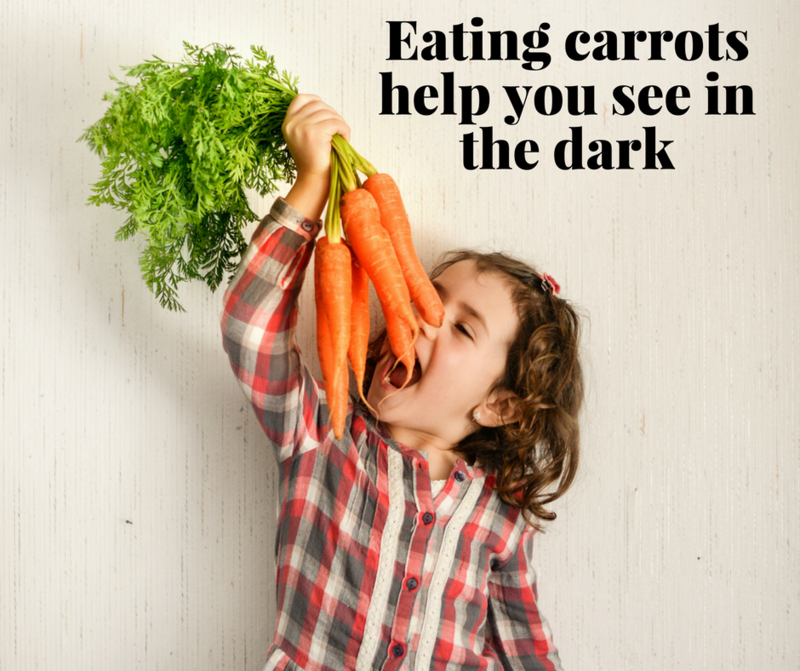 Eat carrots and you'll be able to see in the dark, they said. To throw it back Thursday, we thought it would be fun to do a round up of eight of the strangest, silliest food myths you actually believed as a kid because, yes, we were all naive enough to think so. 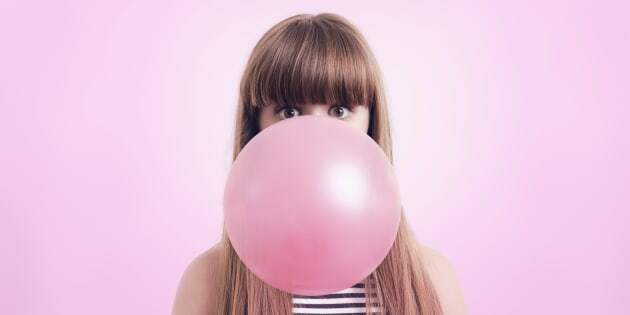 Despite being both a horrifying and disgusting experience, swallowing chewing gum does not take seven years to digest. We bet your six-year-old self truly believed one mistake (usually a result of accidentally inhaling or laughing) would lead to seven long years of old gum building up in your belly, sticking to your intestines like leeches. Yep, whoever made this one up is mean. Okay, so this one is semi-true, depending on how strong you believe Popeye is. Spinach does contain high levels of iron, niacin and zinc, as well as protein, fibre, vitamins A, C, E and K, calcium, magnesium and folate, which we all need to be fit and healthy. Buuuut it's not super enough to give you superhuman strength, unfortunately. Ah, many a seed were spat out as a result of this little tale for fear that an actual living tree would start growing in your stomach. 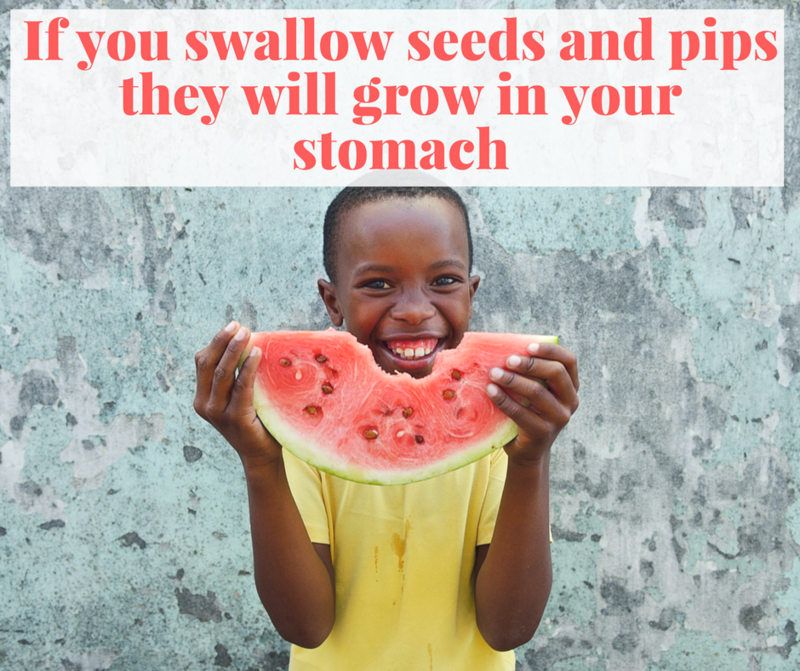 Well, in case you still avoid eating seeds, this is not true, so eat those watermelon seeds to your heart's content. However, not to freak you out, but go easy on eating apple seeds (not that this is anyone's pastime) as eating a large amount can actually be poisonous, seriously. We're not sure why this was such a bad thing (and why it stuck) because curly hair is beautiful. 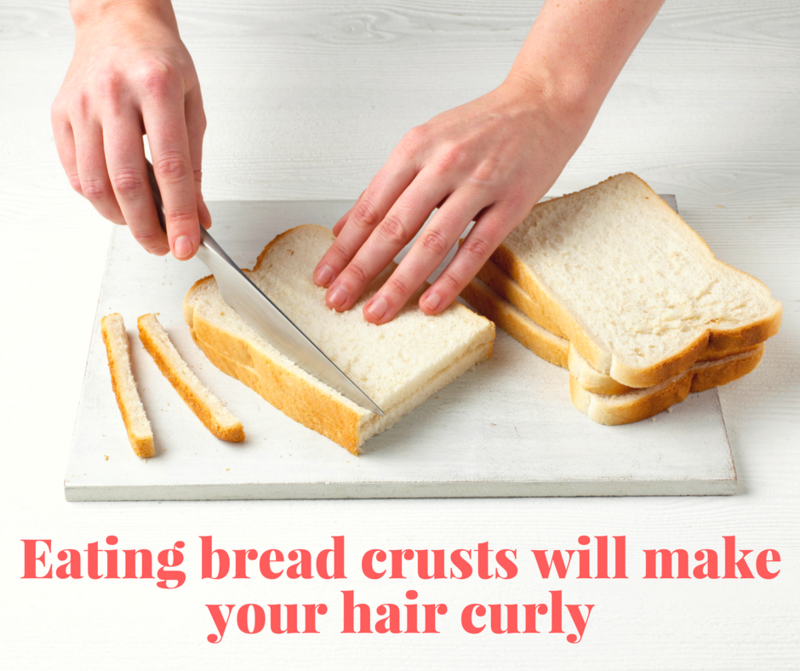 But we believed it and a lot of us actually requested our parents to cut off those delicious crusts which, in retrospect, was utterly stupid because crusts are arguable the BEST part of bread. Another lie to encourage us to eat our veggies, this carrot tale extended past our childhoods, with many people still believing they make us see better in the dark. This carrot myth actually stems back to World War II, when the British Royal Air Force publicised the message that carrots -- not radar technology -- were the key to the pilots' success. Sneaky. This one was smart. Real smart. How can we convince Jane to not drink coke? Let's pretend it will eat her insides! 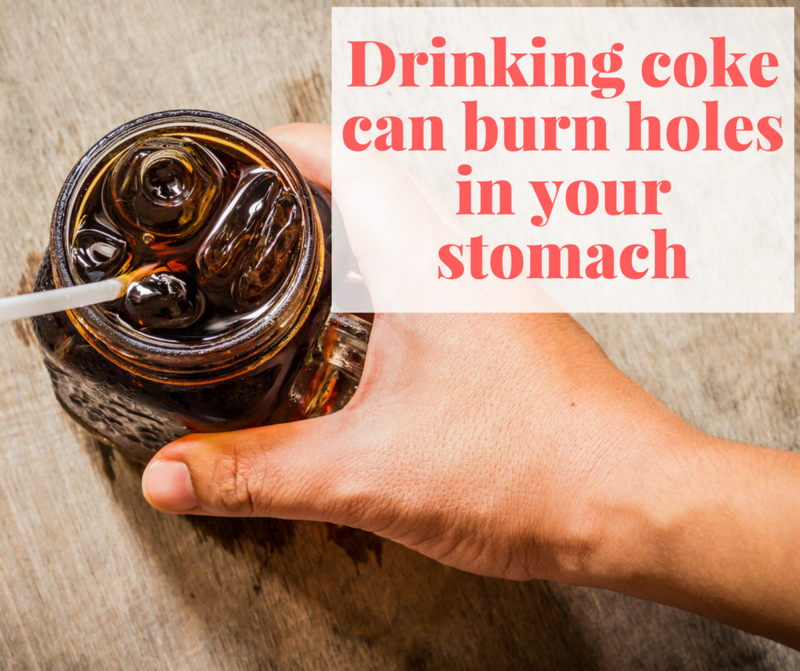 While coke is obviously not the greatest beverage to drink on a regular basis, it's definitely not going to 'burn' holes in your stomach. Or at least we hope not. Chances are, you didn't love vegetables as a kid. 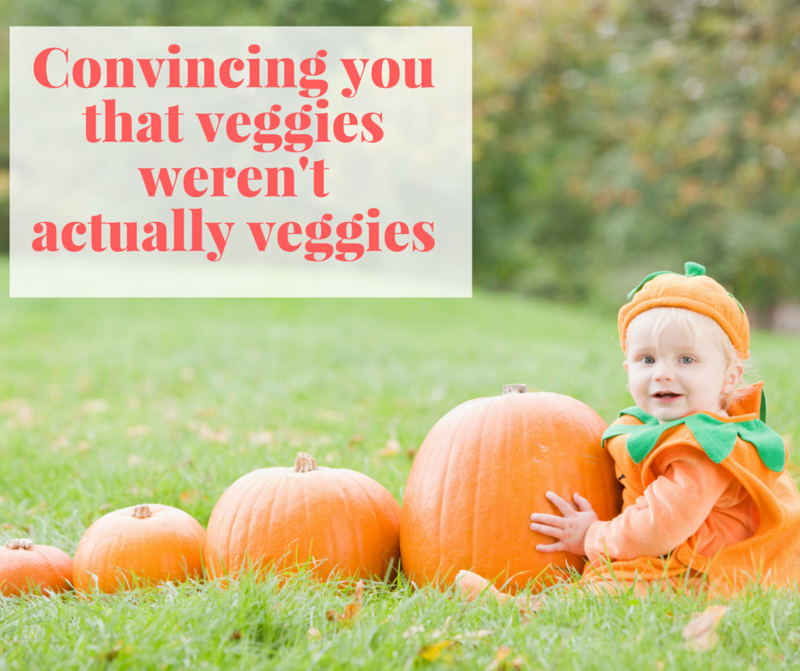 That didn't stop your parents from pretending said vegetables were actually NOT vegetables, but that pumpkins are a sweet fruit, or that mushrooms are meat. 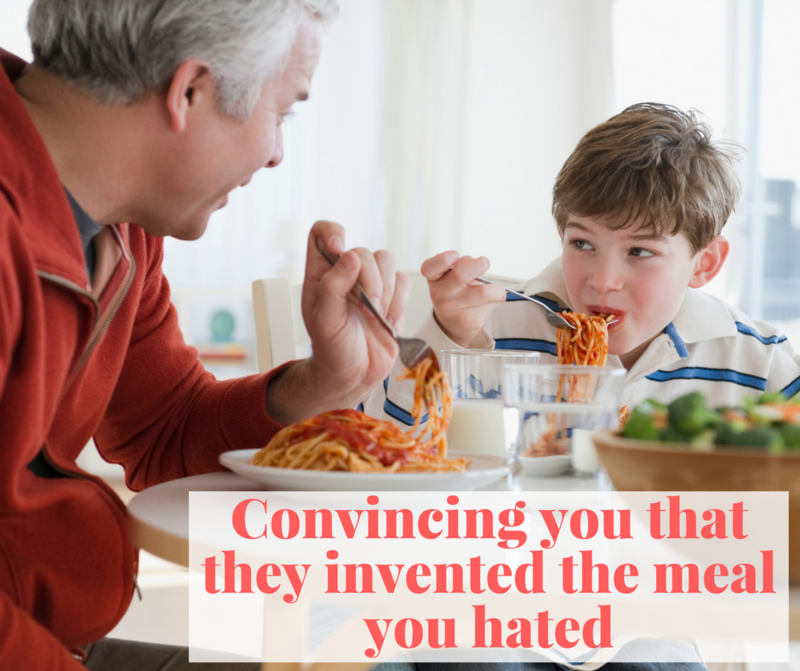 What's the best solution for your kid not liking the meal you just made? Pretend that you invented it. Who can turn down spaghetti when your dad came up with the dish? No one. If you pee in a pool, there's a chemical in there that will turn it blue. So, um, did anyone else not realise this was a lie?